New findings revealed by Virgin Trains have unveiled trainspotting as the latest emerging hipster trend, as millennials with a thirst for photography, high-speed travel and fast-moving technology declare their love for trains online like never before. 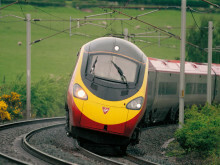 With barely one year to go until the launch of the new high-tech Virgin trains, interest from millennials shows no signs of slowing down as Azuma continues to spark spikes in conversations on social media. Since announcing the new fleet last year, the train operator has seen three clear peaks in engagement from fans, including Azuma’s inaugural test run to Scotland in August. Social media analytics platform Talkwalker has also identified more millennial Instagrammers documenting train travel than ever before. #Trainporn and #train_nerds saw a year on year increase in posts of over 200 per cent between January and September 2016-2017, while on #ukrailscene, posts increased by 615 per cent for the same period, with 76 per cent of these posts made by the under 35s. To delve further into this emerging trend, Virgin Trains worked withsubcultureexpertand author of Style Tribes,Caroline Young, to identify the top next-generation train lovers taking over social media – millennials with a thirst for ‘real’ experiences, photography and a love of technology. Hipster couple, Vicki and Geoff of All The Stations blog, and number one on Caroline’s list, are typical of the next generation train fan. When they visited every national railway station in Great Britain, they regularly posted video content of their coast-to-coast adventure, which took three months to complete and was closely followed by their online millennial audience. Set to revolutionise journeys on the East Coast, Virgin Trains’ Azuma will transform the UK rail industry when the new fleet comes into service from December 2018 – 65 trains will provide an extra 12,200 seats and increase capacity into Kings Cross by 28 per cent during peak time. 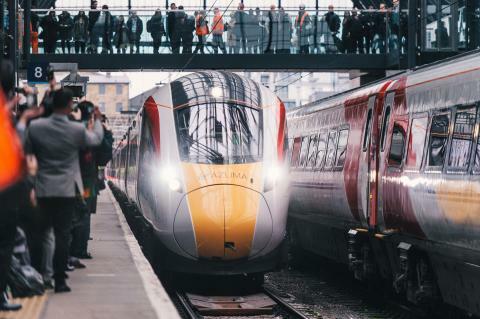 Azuma will slice 22 minutes off East Coast journeys, making London to Edinburgh in just four hours, and London to Leeds in two hours, the norm throughout the day. Each Azuma train will come complete with distinct new interiors, ergonomically designed seats, enhanced leg room, faster and free* Wi-Fi, power sockets for every seat, more overhead luggage space, a state-of-the-art seat reservation system, and superior catering throughout. Talkwalker is one of the world’s leading social media analytics companies. Its cutting-edge technology provides businesses with actionable social media insights through real-time social listening and advanced social media analytics. Talkwalker helps marketers to prove the value of their social efforts and enhances the speed and accuracy of business decision-making. Talkwalker’s state of the art social media analytics platform monitors and analyzes online conversations on social networks, news websites, blogs, forums and more, in over 187 languages. Its servers process 500 million posts from 150 million websites every day. The Talkwalker platform is used by over 700 clients around the world, including Microsoft, HPE, Benetton and communications specialists such as Edelman, Peppercomm, Publicis, Ogilvy, and Weber Shandwick.